Out of a desire to build global awareness about the plight of elephants, World Elephant Day (August 12) seeks to educate the public about illegal poaching, the ivory trade and habitat destruction, inspiring people to take action to help this incredible species. Here at Andrew Harper, we are doing our part. 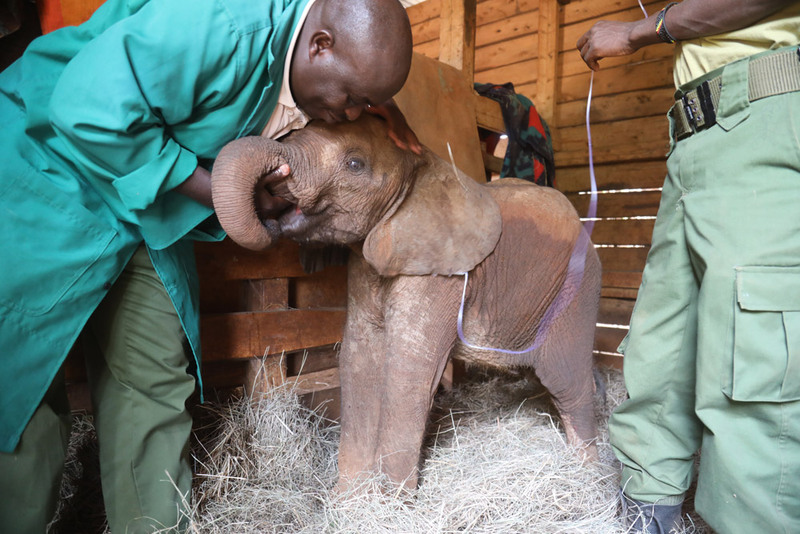 Through the David Sheldrick Wildlife Trust (DSWT), a renowned elephant and rhino rehabilitation organization in Kenya, we have the privilege of sponsoring Maktao, an orphaned calf that was rescued when he was just 3 months old. Likely separated from his herd due to conflict with local farmers, Maktao was spotted wandering alone in Kenya's Tsavo West National Park. Shortly thereafter, in June 2017, he was rescued by the DSWT anti-poaching team. He was transported via helicopter to the DSWT nursery where he was found to be extremely dehydrated and malnourished. We are grateful for and inspired by the great work of this organization. To learn more about the orphan elephant rehabilitation program and to support it, visit the David Sheldrick Wildlife Trust.